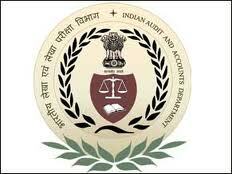 Country’s official auditor the Comptroller and Auditor General (CAG) has blamed four public sector insurance companies - National Insurance, New India Assurance, Oriental Insurance and United India Insurance for causing loss of Rs. 122 crore. CAG in its report, tabled in Parliament, has pronounced their decision to enter into business pact with private player Star Health and Allied Insurance Company ‘an imprudent decision’. In November 2007, the Tamil Nadu government invited bids from general insurance companies to provide health insurance cover to the state government employees and local bodies, among others. Star Health and Allied Insurance Company won the bid, in which the four PSU insurers too had participated. Although, the premium quoted by the four public sector insurance companies was much higher than finally agreed to by Star, they entered into a co-insurance agreement with the private insurer as the leader. The report said that during the four-year period from June 2008 to June 2012, the four PSU insurers suffered a total loss of Rs 121.81 crore. During the period, the insurers received premium of Rs 137.33 crore and accepted expenditure of Rs 259.14 crore towards claims, administrative charges and other expenses.